A significant percentage of congestion on the roads is created by people looking for parking. This not only leads to wastage of fuel but also time and effort that the driver has to spend after reaching the destination. For efficient road networks and congestion free cities, it is essential to implement a system that enables the drivers to plan their parking needs near their chosen location, in advance of their arrival. QI parking availability feature provides detailed and accurate information about off-street parking facilities around any location or destination, allowing drivers to plan their trips or reduce the time spent searching for parking once they arrive. This innovative service informs drivers of nearby parking facilities that have spaces available and at what price. In addition to the parking availability information, we also offer predictive parking algorithm that allows the users to assess the parking availability at the destination of their choice in advance, before they start their journey. This assists the drivers to make informed decisions and ensures a smooth arrival. In addition to displaying the number of parking lots available around a destination, we also color code the information to represent the capacity i.e. high, medium and low availability of parking lots for a better visual representation of parking situation. Our parking availability and predictive parking service can be provided as APIs, enabling to deliver the solution as a white label and customizable product for your mobile application according to your business requirement. 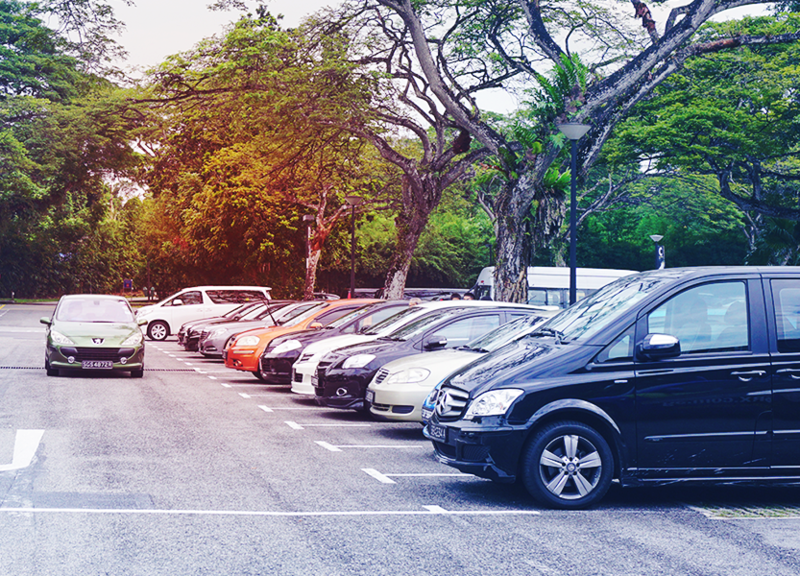 Off-street parking lets drivers compare the prices of nearby parking facilities. Makes the stressful search for off-street parking a thing of the past, thanks to detailed and accurate information on parking garage options. The service off-street parking options for all commercial places as well as HDBs for Singapore. Smart parking solutions ensure smooth road networks and congestion free urban areas, essential for creating smart cities.